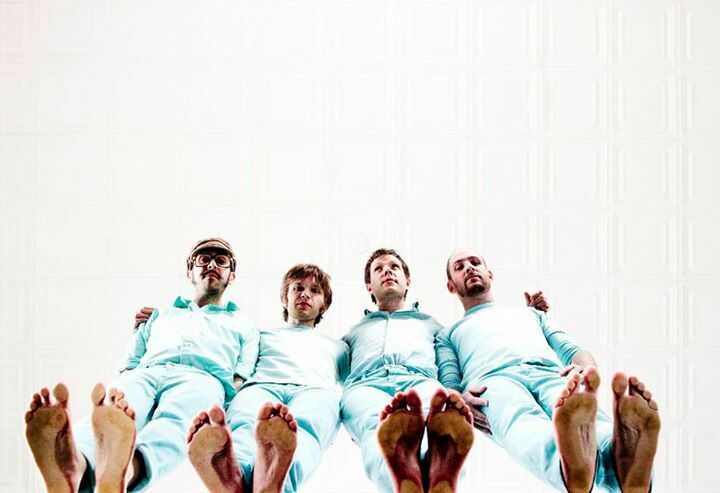 Indie rock band OK Go has a reputation for doing wild and crazy one-shot videos for it’s new releases, and today’s reveal on NBC’s Today show is no exception. Check out this insane short film where the band performs its second single “I Won’t Let You Down” from the new album Hungry Ghosts. They chair dance atop Honda UNI-CUBs, “omni-directional driving wheel systems” that are in the development stage. Think sitting-down Segways and you’ll have an idea. Better yet, check out the video below, filmed in Chiba Prefecture, Japan this past August. And make sure you stay for the final, mind-blowing minute where the shot goes high. Then the camera goes higher, and higher. Then higher still. That’s not a crane. It’s actually a custom-built “multi-copter camera,” according to the press release, that was developed for this specific video. It does all the things a typical land-based camera does: zoom, pan, rotate, etc. But then it does all those things in the air, so that the band could film that amazing LED-billboard-style grid at the end, where messages in Japanese and English are created by a ton of people opening and closing umbrellas. Wow. OK Go, consisting of Damian Kulash, Tim Nordwind, Dan Konopka and Andy Ross, have definitely topped themselves in this new video.